SHANGHAI (Reuters) - China has completed two new high-speed rail lixs connecting Kunming the capital of southwestern Yunnan province with Shanghai and Guangzhou on the eastern coast according to a transport ministry notice. China is in the middle of an ambitious railway building program and aims to criss-cross the country with four north-south and four east-west bullet train connections and expand its total network to 150000 km (93200 miles) by the end of the decade. And the US can't even build one because of corporate greed. China is good at building infrastructure. From Shanghai to Kunming 2252 kilometres (1400 miles) now will take 11 hours and 15 minutes less than half the previous traveling time. 'The previous traveling time' refers only to last ten years. When I was a teenage in China it took 3 full days traveling from Shanghai to Kunming by train. Meanwhile back in the U.S.A. repubs work frantically to appease Israel while roads continue to degrade bridges grow older traffic worsens and repubs claim rail travel costs too much. But Israel MUST get our FULL attention and FULL financial support. If we don't put Israel first over America then their god won't bless us and the x-tians won't get to go to heaven and sit with the king of Israel forever and ever and ever and ever and ever. The zionist jews control the zionist x-tians and the zionist x-tians control our government and they will drag us down into nothingness groveling unto Israel...! And US rails are falliing apart many left over from the Civil War. But we have tons of money for Afghanistan Pakistan and and others who hate us. Keep that money at home and build high speed rail here sure beats flying and being treat like crap by airlines. 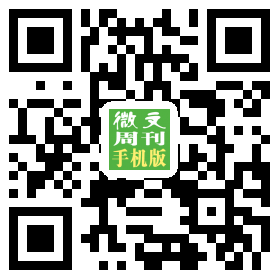 China is for peace stability and prosperity for all people to enjoy. The US is for chaos unrest and destruction for others to suffer and for itself to enjoy. Trump said that he'd spend $1 trillion in the next 10 years on infrastructure in the US. That sounds like A LOT. China invested that much in infrastructure construction in the first NINE MONTHS of 2016!!! While the US fights wars China overtakes us. Way to go China! Full speed ahead....!! Where is our high speed train from Los Angeles to Las Vegas? Meanwhile 10.000 dogs and cats will be killed and eaten during a festival in China's annual Yulin festival. Hate to be on one when an earthquake happens. I am not a fan of rail. Too many obstacles on the ground that an airplane doesn't have to deal with at cruising speed. Rail - 11hours 15min to go 1400 miles. An airliner will do it in 2.5 hours cruise. Add a half hour for take off and landing and it is 3 hours. I don't think there is much upside for rail as a long distance passenger transportation system. Save it for freight and short commuter distances. Meanwhile California can't get 50 miles of track laid for their "High Speed Train" and they still don't have a route through the Tehachapi Mountains. And the tyranny hear in the Great USA continues from the oil industry. 29 of China's 31 provinces and regions are now served by high-speed rail" Highest bridge opened today too. Guess theres no money being the police of the globe eh? Well maybe for the arms industry. Instead of driverless cars we should have high speed trains. the west short sighted and ideological oriented especially its media doesn't understand economics and sociology in strategic ways. 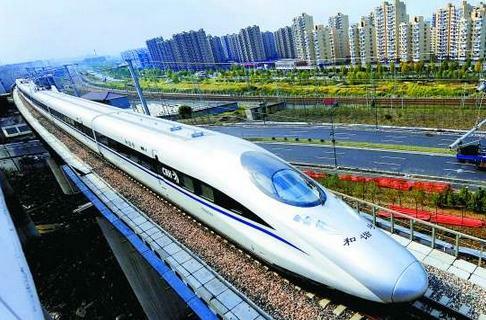 the high speed rails and other infrastructure projects are not for show or bragging rights (those are for typical western politicians) those projects will guarantee the growth of china for next 50 years to come. Yes China you did it again! 2016 Outstanding Transit System of the Year. Keep Up The Good Work. I've traveled on China's high speed rail. It's fast convenient safe and inexpensive. As an American I'm jealous that we have nothing comparable. We should. My home state California has been wasting money trying to build one but so far only 'consultants' have anything to show for the millions spent. What a joke.
" It stretches 2252 kilometres (1400 miles) and will take 11 hours and 15 minutes less than half the previous traveling time the notice said." Don't they have airplanes in China? Doesn't a passenger plane got about 500mph so it could go 1400 miles in a few hours? Our poltiicians past present/future LOVE creating WARS/ENEMIES....CHINA....on the other hand shaking hands with other people making business deals building their country expanding their human resources.....etc. Who do you think will WIN at the END? CHINA!!!!!! China and the US are about the same size yet people use size as an excuse not to build passenger rail in the US.